Too busy Catching Them All? Here's your digest - see what the news and rumors about Pokemon Go are saying. Nintendo reported earnings for the period before Pokemon Go. Its net loss is quite larger than analysts projected. Nintendo is going from "Pokemon Go to Pokemon No". Probably not a good time to buy its shares. The Pokemon wearable would have affected the Nintendo bottomline, but it is delayed to at least September. Updated August 1 2016: new strategy - hatch eggs to get rare Pokemon not wasting money on lures or modules. Use lucky eggs for better bag management and level up quickly and efficiently. The gist is you don't need to spend a penny but if you do have a strategy that focuses on hatching eggs and leveling up via lucky eggs which double XP within 30 minutes. Pokevision, the amazing map that reveals rare and common Pokemon locations is shutting down citing that it will "respect the wish" of Niantic and the Pokemon Go company. The end of July update has left the Pokemon tracker broken still, and some players very confused. The new app is a blank slate, upon launching the app, users may be accidentally logging in using another gmail account (already active on their cell phone, likely their primary gmail account) and may not be the google gmail account they have been using to play the game. Select the correct Gmail from the top right dropdown menu and you will resolve this Pokemon Go resets user level to 0 requires new account set up update problem. It's not really a problem, but it's not a great User Experience (UX) as it confused many, include a few of my friends. Did you know that the Hitmonlee fighting Pokemon may be named after Bruce Lee and Hitmonchan likely named after Jackie Chan? These are two Pokemons named after celebrities in the USA. Japan, being Japan, published a comic guide to playing Pokemon Go! Specifically this guide teaches you how to be safe and polite the Japanese way. It's easy to hatch precious Pokemon from eggs. Here's a Youtube video explaining how and the full list of monsters you can get The video runs through a list of 2km, 5km, 10km hatches. There's a shortcut to the Pokemon menu. Tap hold the menu button swipe up to access Shop, hold and swipe left for your Pokemons and hold swipe right for your items. Can come handy when there are lots of Pokemons to catch. There are easter eggs in the game. If you name your Eevee after the original owners Rainer, Pyro and Sparky it is guaranteed that you can evolve the Eevee into Vaporeon, Flareon and Jolteon respectively. Eevee is eevee spelled backwards. Ekans is snake spelled backwards. Arbok is Kobra spelled backwards. Mind blowing! Chanseys can indeed be found near medical centers like hospitals. Water animals do spawn near water sources. Lures and incense spawns many additional Pokemons for your personalized experience. The actual system spawning isn't numerous everywhere. In fact, it can be sparse. Pokevision.com is a website that displays real time real life system spawning of all Pokemons. Searchable world wide. Each Pokemon has a timer, and you will indeed find the Pokemons at the exact location. Pokemon Go accidents happen. A driver unluckily drove into a cop's car. Yes it happened. Pokemon Go source code hints potential partnership with McDonald's and monetization of custom gyms, pokestops and more. It is finally released in Japan but it is yet to go live in many countries. In fact, the native birth country of Pokemon is not the first chosen place of the game. United States is the first country to play Pokemon Go! Pokemon Go Plus wearable will be released later on. It will pair with your phone to help you catch pokemons without looking. 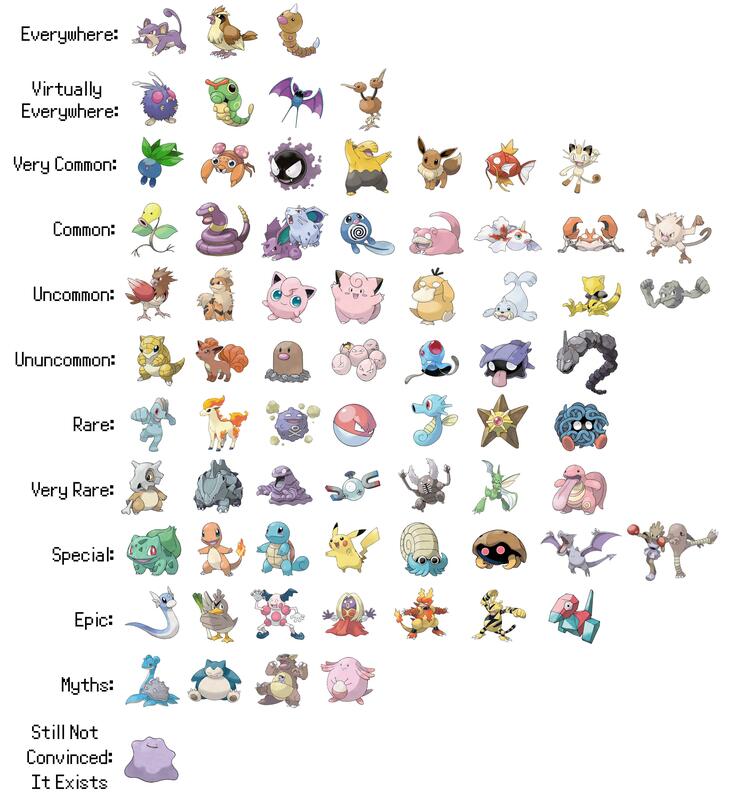 Different cities may offer different pokemons. You may have to travel the world to collect them all. Niantic also created the AR game ingress but didn't receive much attention especially compared to PG. Different cities, districts offer different pokemons. For example, San Francisco Ferry Building has a lot of water pokemons such as Magikarp, Tentacool, tentacruel, psyduck and squirturl, which are hard to catch inland.